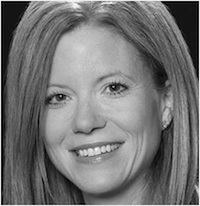 Tami Howie focuses her practice in the area of corporate law. She advises technology, life science and medical device companies in emerging growth and venture capital, private equity, securities offerings, venture capital, joint venture transactions and M&A matters. Prior to returning to DLA Piper, she was CEO of the Maryland Technology Council, the state’s largest technology trade association supporting biotechnology and innovation in the state of Maryland. In this capacity, she was the lead voice in Annapolis helping to promote legislation to make Maryland the most innovative state in the country. She has worked to increase research and development, tax credits, investor tax credits and worked to prevent legislation that would make it harder to do business in Maryland. Over the past 20 years Tami has helped technology companies grow in the Mid-Atlantic region and nationwide from start up to public companies and beyond. Tami has been involved with the successful exits of over 150 companies and has represented technology companies, investors, SBICs and underwriters such as JP Morgan, Goldman Sachs and Morgan Stanley. She has served on several organizational boards including most recently the Dingman Center for Entrepreneurship at the University of Maryland and as counsel in her early career for the Mid-Atlantic Venture Association. In addition, she has served the tech community by participating as a speaker, committee chair or legal advisor for both the DC Tech Council and Tech Counsel of Maryland. Tami has been named one of America’s Top Lawyers and has received the Young Gun Award from the Washington Business Journal.